There is something about the winter that makes me crave homemade soups. Maybe it is because by this time of the year I am over anything to do with ham or turkey. 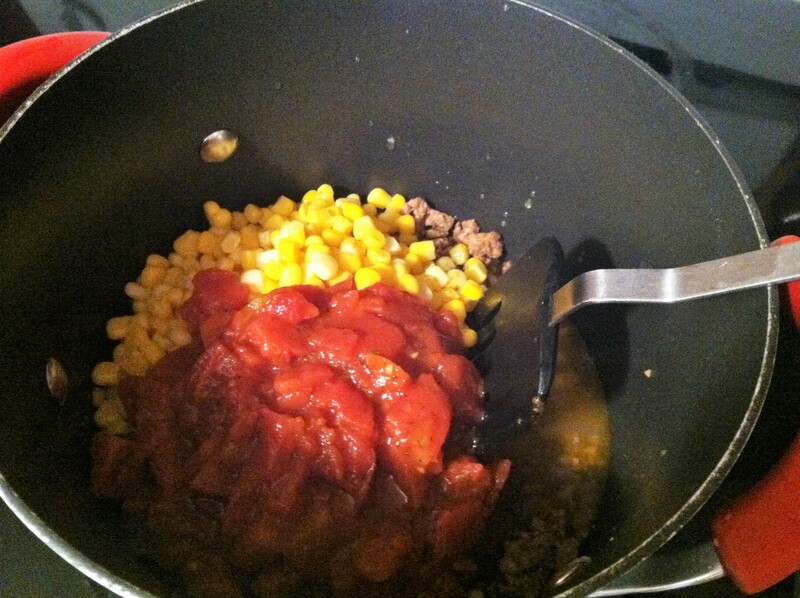 So last night I decided to make taco soup. 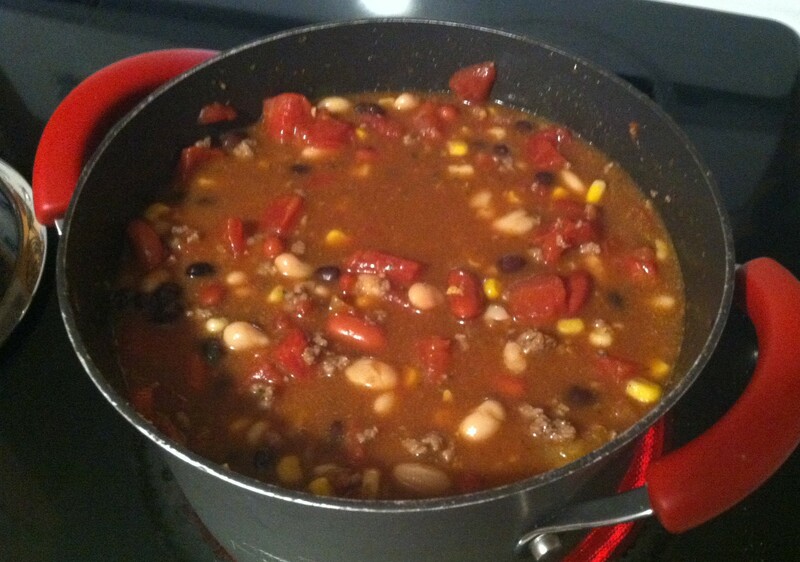 This is my version of the soup that I first learned about at a Weight Watchers meeting years ago. I hope you enjoy it as much as we did! 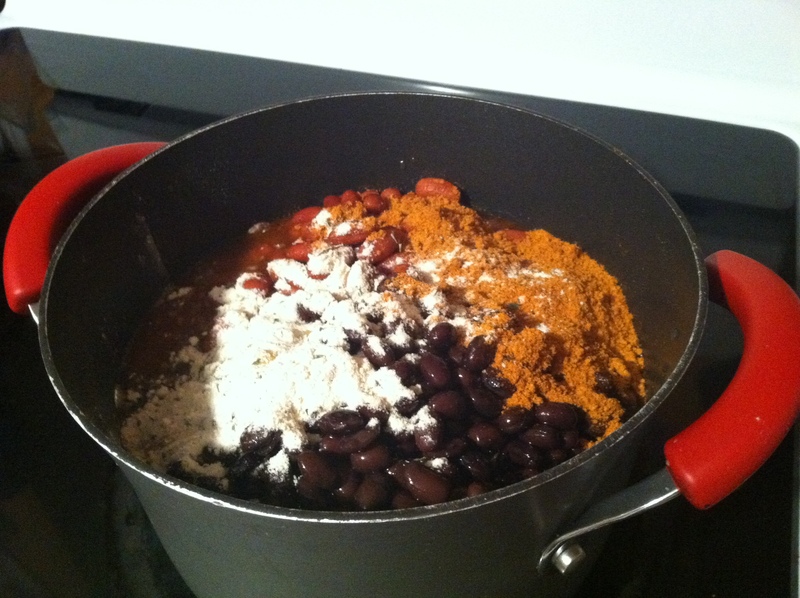 After the ground beef has cooked, combine all your ingredients into a large pot – REMEBER ONLY DRAIN AND RINSE the black beans. 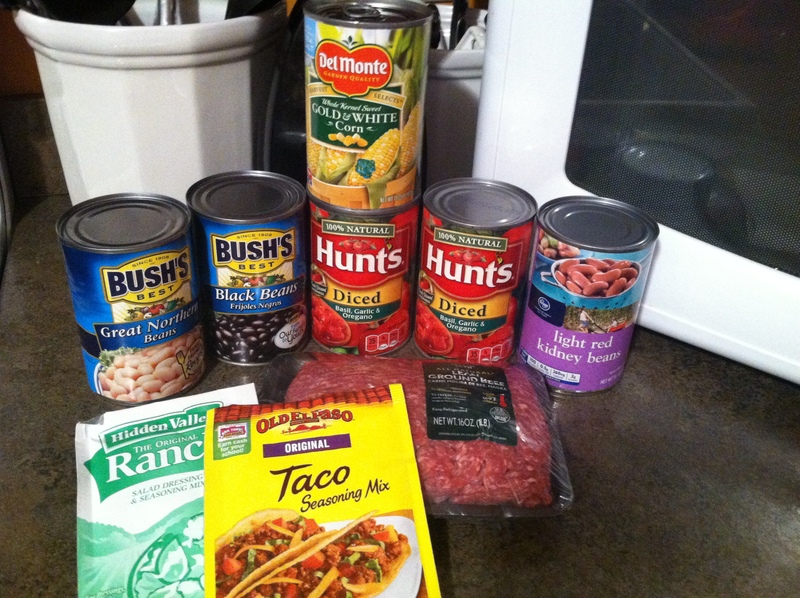 Add all the other cans with the liquid plus a can of water and the remainder of the seasoning packets. Enjoy! 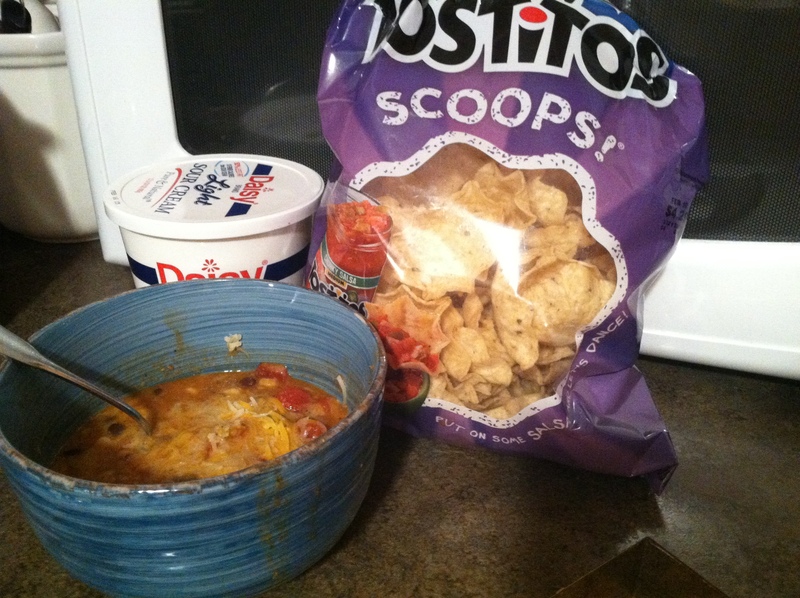 Top with Shredded Cheese and Sour Cream if you wish and then enjoy with Tortilla chips! We have this great traveling type farmer’s market here and you can go and pay the guy $20 and get all the fruits and vegetables your family can eat for a week. We went for the first time this past Tuesday and it is a great deal. However, I realized today as I was looking through the fridge that I had some things that were going to go bad if I didn’t eat them. 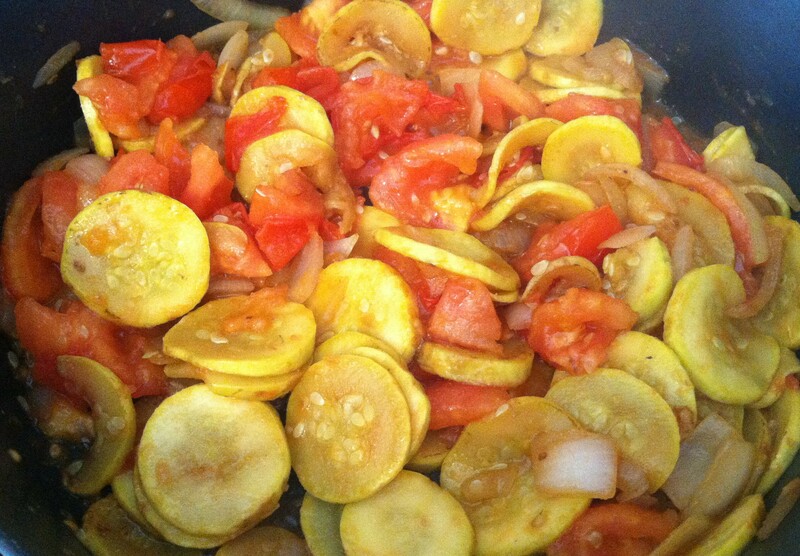 So I came up with this quick and easy Summer Squash, Onion and Tomato Recipe. And it was delicious not a real original name, though! 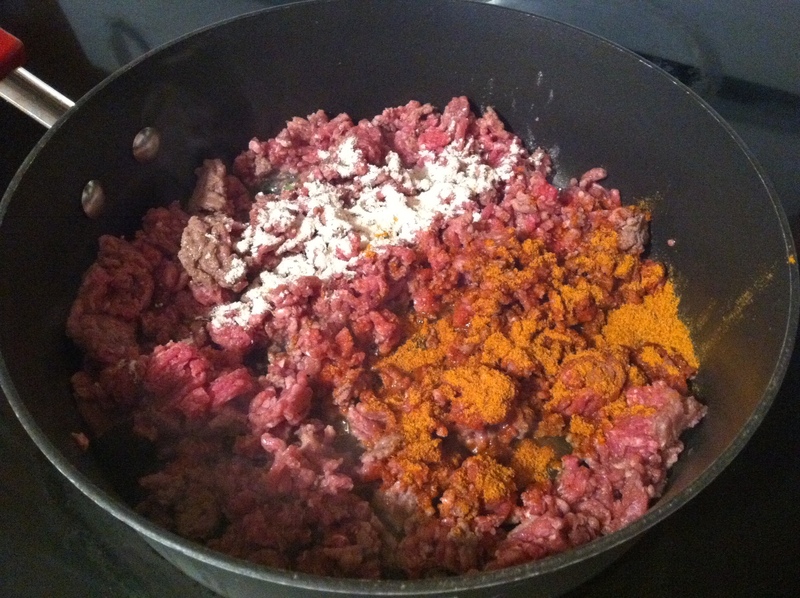 Makes 4 servings – 2 WW points plus per serving. I had it for lunch and it was delicious. It would also be a very good side item with your meal. A great side for those of us following the Weight Watchers plan.